TRANSPORT Minister Joram Gumbo on Thursday told Parliament that the National Railways of Zimbabwe (NRZ) has become difficult to resuscitate, but added that government will not give up on it. 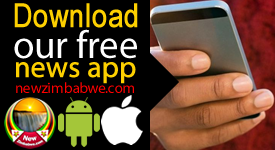 Gumbo was responding to a question posed by Manicaland senator Anthony Chimhini (MDC-T), who had asked about the government’s plans for the struggling parastatal. 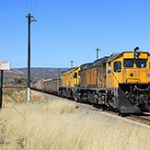 “NRZ operations have been going down year after year and now it has actually worsened to the extent that it has become difficult to resuscitate it. We are working to try and resuscitate it because it is important that it performs, particularly this time when we are expecting a bumper harvest,” Gumbo said. 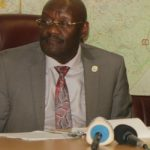 He said he had presented a paper to Cabinet on Wednesday, detailing options available for the revival of the rail transporter. “Their books are so bad to the extent it is difficult to attract investors to partner them, but we are still negotiating with companies who want to partner us. 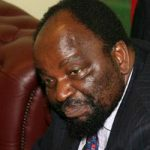 There are many issues with NRZ, and the first is that (at independence in 1980) it was over employed with 20,000 employees, but by 1990 they were 12,000 and right now they are 5,000 that are sitting and doing nothing,” he said. Gumbo said the employees sitting idle at NRZ cannot be fired before their salary arrears are cleared. NRZ board chairperson Larry Mavhima recently told the Parliamentary Portfolio Committee on Transport that the parastatal wants government to warehouse its $176 million debt. Mavhima said the NRZ would require $16 million from government, to fund its strategic plan for 2017, while proposing to raise $2.5 million from the sale of scrap metal. Out of NRZ’s 166 locomotives, only 60 are functional, while only 108 passenger coaches, out of 332, are in usable condition. 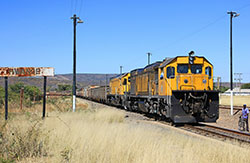 Mavhima said for the NRZ to attract serious investors, government needs to consider a sovereign guarantee of $400 million and restrict bulk commodity haulage to rail. Gumbo told the Senate that the many potholes on the country’s roads were worsened by NRZ’s diminished freight capacity, which has resulted in the road network bearing the excess burden.